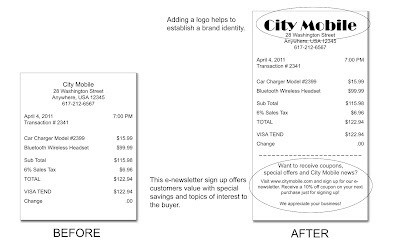 If you are looking for an affordable way to increase sales and encourage repeat business, look no further than your paper roll receipt paper. In the past, a point-of-sale (POS) receipt was simply used as a proof of purchase. Many POS terminals, POS printers, credit card terminals and cash registers now offer the capability to print custom messages on every receipt. This low cost tool makes it possible for you to market to your customers, every time they purchase from you. Check out this white paper from CognitiveTPG, an integrated supplier of barcode printers, transaction printers, printheads, and label supplies. This informative paper discusses the continued rise of coupon redemption and the value that receipt marketing can bring for a fraction of a penny per receipt. 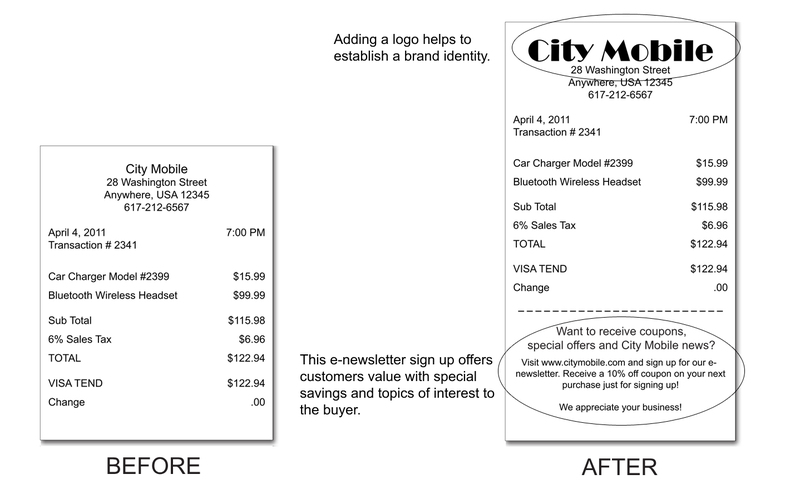 Has your business implemented any receipt marketing? Do you find it to be a successful marketing tool? We'd love to hear your thoughts on the subject!